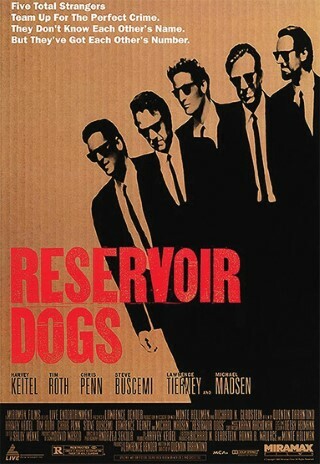 After bursting into the filmmaking world through the success of 1992’s “Reservoir Dogs”, Quentin Tarantino went on to release “Pulp Fiction” in 1994. Similar to his debut movie, “Pulp Fiction” is driven by extended scenes of sharp dialogue and witty humor, in an absolutely brilliant script which Tarantino wrote with Roger Avary. This time around, there was a significantly bigger film budget, which hovered around $8 million according to the Internet Movie Database. 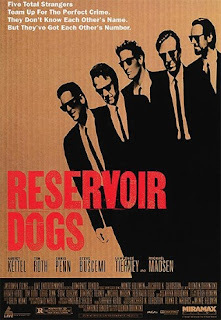 Between more money to work with and the success of “Reservoir Dogs”, an even better cast was put together for this masterpiece; led by a career resurrection of sorts, for John Travolta and perhaps the quintessential role for Samuel L Jackson. Uma Thurman, Harvey Keitel, Tim Roth, Ving Rhames, Christopher Walken, and Bruce Willis are just a few other names included in this all-star group of acting talent. With such a special team behind the production of this instant cult classic, Quentin Tarantino crafted a completely original story that many believe to be his magnum opus. Because of that, “Pulp Fiction” has rightfully landed near the top of countless lists of the greatest films ever made. Typical of a Tarantino film, “Pulp Fiction” has a nonlinear structure that lets the audience piece together the overarching plot down to every detail. The movie intertwines several different storylines into one giant tale of gangster violence; included in this are: A young couple of diner robbers, two hitmen, the wife of a local kingpin, and a talented prizefighter. I would hate to spoil anything more from this gem, as the film’s closing scene ties everything together in a manner that practically demands multiple re-watches. In my opinion, the sheer uniqueness of “Pulp Fiction” represents so much about what is wrong with many films today, that it has only become better each time that I see it. Just about every word of dialogue contributes at least one of the following elements, including: building strong characters, moving the plot along, and providing strong humor. Each and every role is executed to a tee, but the script is written so naturally that all of the conversations feel very casual and draw the audience in, unlike any movie I have seen before or since. It was more than well-deserved for Tarantino and Avary to bring home the top honor for writing, at the 1995 Academy Awards. While the tremendous screenplay is the clear strength of this movie, effective use of homage and excellent action sequences are a few other aspects that have earned it such a positive reputation. Unless you just don’t like Tarantino’s edgy style or can’t handle the plethora of violent sequences, “Pulp Fiction” is a must watch for any movie fan who hasn’t seen it and worth checking out again for anyone who has. It is currently available to watch online with Netflix, along with the next film in this series of reviews, “Jackie Brown”.